Growing up in North Carolina did not offer many opportunities for good skiing, but my first trip to Winter Park Colorado at age 7 hooked me on skiing all the same. While in school at Virginia Tech, I was the president of the ski club, and enjoyed a number of trips up to Vermont each year. After two âwork study' winters in Sugarbush VT, I was sure I would be working in the ski industry. The logical move after I finished up college was to move out to Boulder, CO. Twenty years later, I still wake up excited to help each client have the best travel experience from start to finish. Having skied all over both the Eastern and Western US, Canada, South America, and most of Europe I have more than likely skied wherever you are planning to head this Winter! My favorite ski area in the world (since 1998) would still be Fernie, BC. Cool, quiet, great powder, and low key. Great customer service, give helpful information and seems happy to help us. Dude is the best. He really cares. (How likely are you to recommend us to family, friends, and coworkers?) Definitely will recommend... Great responsive service. Mike Boike always finds us great deals and gives great advice. He was very informative. Helped us pick a great hotel. The ski rental company that he used was top notch. (How likely are you to recommend us to family, friends, and coworkers?) Definitely will recommend... I trust Michael and definitely will continue to utilize his services for all my skiing adventures. Has always given excellent recommendations - I have been very satisfied with every vacation Michael has set up. Use you every year. You make the whole process painless and provide a substantial discount. We were relatively unfamiliar with Canadian ski resorts and really appreciated the advice and recommendations. Very knowledgeable! Very clear in his recommendations! (How likely are you to recommend us to family, friends, and coworkers?) Definitely will recommend... Mike has been brilliant over the last 6 years of planning trips for us!!! I've been using Mike for a few years and he has always helped us put together a great trip. Michael was great! We were trying to coordinate reservations with my sister. And we hadn't been skiing in 20 years! (Would you book another ski vacation with us again?)... Yes. Good response time to my concerns or questions. Mike was always very professional and courteous. He also was full of knowledge of the area. (How likely are you to recommend us to family, friends, and coworkers?) Definitely will recommend... Mike Boike was very helpful in helping me pick a condo that was easily accessible to everything. He always returned my calls when I left him messages with questions that I had. He never made me feel like I was bothering him with my questions. Always very polite and full of knowledge of the area. Mike always gets us what we are looking for! (How likely are you to recommend us to family, friends, and coworkers?) Definitely will recommend... Mike knows what we like and always gets us the best deal possible! Michael is excellent! He is so helpful, knowledgeable and makes himself available to answer questions, no matter how many. (How likely are you to recommend us to family, friends, and coworkers?) Definitely will recommend... Michael is excellent! He is always very helpful, knowledgeable and available. (How likely are you to recommend us to family, friends, and coworkers?) Definitely will recommend... Mike was very easy to work with. He was prompt, professional and I felt he gave me great rates. The whole process was very easy and all aspects of my vacation were taken care of. Great peace of mind. Excellent, accurate answers & excellent availability. Good service provided during planning & assistance after trip began. Mike always responded promptly to my emails, and his descriptions of the condo were clear and accurate. He was most helpful. I will ask for him for my next ski trip!! All of our arrangements were perfect, the flights, the shuttles, the condo, the lift tickets, the rental of the ski equipment and most of all working with Mike Boike from Tours de Sport. Mike was great when we made our initial inquiry and then we went along to the Toronto Ski Show where we spoke with Cecil Carver who helped us further. (How likely are you to recommend us to family, friends, and coworkers?) Definitely will recommend... We had very good service from Mike and Tours de Sport's both via email and at the Toronto Ski Show. You were prompt to respond to any emails that we sent asking additional questions - Thanks! (How likely are you to recommend us to family, friends, and coworkers?) Definitely will recommend... Friendly, efficient and effective communications. He was very helpful and provided several options before we decided on Lake Placid. Was very helpful and the one time he was not available, Alyssa stepped in seamlessly. (How likely are you to recommend us to family, friends, and coworkers?) Definitely will recommend... You were helpful in finding the vacation we wanted at the price we could afford. Very responsive to e-mails, gets right back to me. Mike Boike has been very good on all details of our trips, responsive to any questions, and also has added some value with his knowledge of the areas, and places to stay. (Would you book another ski vacation with us again?)... Yes. Absolutely, I can't wait till next season. (How likely are you to recommend us to family, friends, and coworkers?) Definitely will recommend... Because it was the most problem free trip I've ever had. Mike was very helpful in terms of location and figuring out which tickets to buy. Have been using you for about 8 years and am happy with Mike Boike. (How likely are you to recommend us to family, friends, and coworkers?) Definitely will recommend... Responsive and knowledgeable and friendly agent. Michael was very flexible in assisting us with the Canadian vs American dollar difference. This was very helpful. We've dealt with Michael for the past few years - always helpful! (How likely are you to recommend us to family, friends, and coworkers?) Definitely will recommend... Great service. Michael was very attentive and made the planning process very simple. Very comprehensive when planning the trip. Always got back to us. (How likely are you to recommend us to family, friends, and coworkers?) Definitely will recommend... Our specialist Mike Boike was 1) easy to reach 2) was informative on the property we stayed at 3) ALWAYS got back to us when we reached out to him. Mike answered all of my 10000 questions professionally and in a timely manner. Couldn't have done a better job. (How likely are you to recommend us to family, friends, and coworkers?) Definitely will recommend... The deals offered are awesome, and the service is even better. Super impressed by Mike. Great customer service, highly knowledgeable and extremely helpful. Excellent service and highly knowledgeable. (How likely are you to recommend us to family, friends, and coworkers?) Definitely will recommend... Mike was so helpful and knowledgeable, he listened to what our expectations were, and steered us in the right direction! (Would you book another ski vacation with us again?)... Yes. Easy and Michael's knowledge of the area as to where to stay so its close and convenient took the worry out of planning a trip. Michael was always easy to contact when I had questions prior to the trip. Tourdesports employee, Michael Boike, was extremely helpful and very polite at all my dealings with him--11 out of 10. This is the 2nd year I've asked Michael to plan a ski trip for me and he did an excellent job both times. I experienced a problem both times with a weather cancellation and rebooking the 1st trip and illness forced me to cancel the 2nd trip. Michael handled both trip problems with ease and made my experience with Tourdesports a positive experience. He was great!! (What comments or suggestions could you make to help us improve your next ski vacation?)... Keep up the good work. Mike was proactive on his follow up, professional and courteous on the booking. I felt like a personal customer rather than a hit on a website. Refreshing. The process was simple and they were proactive in finding the vacation package that fit our budget and schedule.. They took a personal approach and it was a great experience all the way around. Very professional and great communication. (How likely are you to recommend us to family, friends, and coworkers?) Definitely will recommend... The holiday was perfect, everything worked like clockwork. (Would you book another ski vacation with us again?)... Yes. Have been booking with you for six years so far, haven't gone wrong. Has good knowledge of every place we have visited. Last vacation to Aspen was amazing, great choice of hotel, flights and transport. Been using Mike for years, he knows his stuff. (How likely are you to recommend us to family, friends, and coworkers?) Definitely will recommend... Mike is very much in tune with my ski sensibilities. He's professional, courteous, prompt and delivers on expectations. (Did you use our On-Line Trip Quote system to begin your vacation planning with us?)... Yes. Easy and thorough. (How likely are you to recommend us to family, friends, and coworkers?) Definitely will recommend... Great deals and easy to book. (Would you book another ski vacation with us again?)... Yes. Great prompt service. Mike is the reason we continue to use Toursdesport. (How likely are you to recommend us to family, friends, and coworkers?) Definitely will recommend... Mike Boike consistently finds us suitable accommodations at a reasonable price. Mike is always flexible to our changing needs. Very good and very responsive. (How likely are you to recommend us to family, friends, and coworkers?) Definitely will recommend... Competitive pricing and great customer service. (How likely are you to recommend us to family, friends, and coworkers?) Definitely will recommend... Very responsive and knowledgeable. (How likely are you to recommend us to family, friends, and coworkers?) Definitely will recommend... Very good service. (How likely are you to recommend us to family, friends, and coworkers?) Definitely will recommend... Very professional. Good follow up. Extremely personable and truly knew the area!! (How likely are you to recommend us to family, friends, and coworkers?) Definitely will recommend... Mike Boike made our first trip to Breckenridge outstanding and seamless! We spoke on the phone several times and he was extremely personable and listened to what we wanted and made wonderful suggestions about places to visit on our trip. Mike did an excellent job of tailoring the trip to meet our needs. (How likely are you to recommend us to family, friends, and coworkers?) Definitely will recommend... Everything was well organized and occurred just as we were told it would. (How likely are you to recommend us to family, friends, and coworkers?) Definitely will recommend... Mike Boike was very quick to respond and always very helpful. Mike was very helpful and timely. Very helpful in setting up the trip and no problems during the trip. See previous page. He was beyond helpful and knowledgeable. I would recommend him without reservation to family or friends. Mike has helped us the past couple of years when we have been booking our vacations. Mike is very helpful and quick to reply to any emails/ phone calls. (How likely are you to recommend us to family, friends, and coworkers?) Definitely will recommend... Quick communication, questions answered , very helpful. (Did you use our On-Line Trip Quote system to begin your vacation planning with us?)... Yes. Your online quite system was easy to use and connected us to Mike the next day. Mike was super helpful. He was fast to respond to any and all questions and went to bat for us when we decided to postpone our trip in hopes of better weather. Could not have been more professional and attentive. (How likely are you to recommend us to family, friends, and coworkers?) Definitely will recommend... Mike Boilke went above and beyond when we had to reschedule our vacation due to no snow in Vermont this year. Everything was done smoothly - excellent accommodations. We have used Mike for the past 3 years. He is great! (How likely are you to recommend us to family, friends, and coworkers?) Definitely will recommend... Awesome and economical trip. (How likely are you to recommend us to family, friends, and coworkers?) Definitely will recommend... Convenient way to book the vacation. Accommodations exceeded expectations. (What comments or suggestions could you make to help us improve your next ski vacation?)... Couldn't get any better. (How likely are you to recommend us to family, friends, and coworkers?) Definitely will recommend... This was the second trip I booked thru Michael and it was flawless. I have recommended him to other family and friends and will book again through him for the 2017 ski season. Michael was awesome, knew his stuff and also called and made sure the resort we were going to be at was pet-friendly. (How likely are you to recommend us to family, friends, and coworkers?) Definitely will recommend... The representative was knowledgeable and great to talk to. Also everything was in order just as he said it would be, no surprises or inconveniences. Easy to work with; helpful; not pushing more expensive options; flexible. (How likely are you to recommend us to family, friends, and coworkers?) Definitely will recommend... Ease of use and package pricing. Mike did an excellent job of listening to what I wanted and then putting together a package that "fit". the condo accommodations were wonderful as were the food and transportation. Mike Boike was incredibly efficient. Highly professional. Would definitely use again. Mike was very prompt answering all my questions. Mike answered all of our questions promptly. Our first trip a few years ago was to Winter Park. I got to Tour De Sport through a link on the Winter Park website. Mike took great care of us and used him ever since. This is, I believe, the 3rd vacation I have booked through Mike. And every one has been great and hassle free. Mike was beyond helpful and knowledgeable. I would recommend him without reservation to family or friends. Mike Boike was very quick to respond and always very helpful. 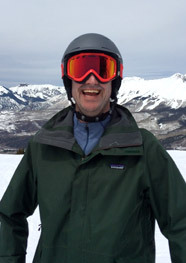 Mike Boike made our first trip to Breckenridge outstanding and seamless! We spoke on the phone several times and he was extremely personable and listened to what we wanted and made wonderful suggestions about places to visit on our trip. Mike Boike consistently finds us suitable accommodations at a reasonable price. Mike is always flexible to our changing needs. Mike is very much in tune with my ski sensibilities. He's professional, courteous, prompt and delivers on expectations. Our specialist Mike Boike was 1) easy to reach 2) was informative on the property we stayed at 3) ALWAYS got back to us when we reached out to him. Mike was so helpful and knowledgeable, he listened to what our expectations were, and steered us in the right direction! Tourdesports employee, Michael Boike, was extremely helpful and very polite at all my dealings with him - 11 out of 10. This is the 2nd year I've asked Michael to plan a ski trip for me and he did an excellent job both times. I experienced a problem both times with a weather cancellation and rebooking the 1st trip and illness forced me to cancel the 2nd trip. Michael handled both trip problems with ease and made my experience with Tourdesports a positive experience. He was great! Mike was great - VERY responsive and very easy to work with! Mike is a great guy. He is patient and very helpful. I was unsure of exactly where and what I wanted to do. He offered some great suggestions and in the end I am really pleased with what he offered me. (Would you book another ski vacation with us again?)... Yes. No hassle planning and we really liked dealing with Michael Boike. This is the second time we went through Michael. He is always great to work with. This is the third year that I have directly worked with Michael. He is a true customer-service oriented professional. He deftly managed several unique requirements for our group and patiently worked with us as we went back and forth on lodging choices. Been using Mike for several trips. Always does a great job and finds me and my family the right place at the right price. Thanks Mike! Michael has been an excellent resource for my trips the last 2 years. he has done what he says when he says he will. all information has been spot on. Mike was very helpful and patient. He responded to emails and phone calls promptly. Mike did a great job of staying in contact with me and answering all my questions and did a great job and look forward to working with him again in the future. 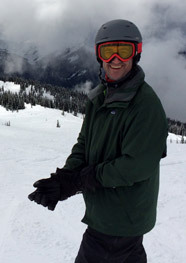 We have booked several ski trips through Mike and he has always found us great rates! We hope to continue to book our yearly trips though him, everything has been perfect each time!! I enjoyed talking to and working with Mike. As usual, Michael has guided us to a perfect family vacation. Mike always got back to me with answers and alternatives. Awesome insight and straight forward answers. People, including Michael Boike, were knowledgeable and friendly when called upon to provide information. Michael did a great job best trip we ever had! One of our daughter hopes to make another ski trip this year and I have advised her to use Tour de Sport. He is very patient with a good attitude. Michael was always very helpful and prompt. Was great working with Mike. I like working with Mike. He is very knowledgable about the resorts and responds timely. I think Michael does a great job putting things together for me. No stress or pressure. I was very appreciative of everything he did to ensure that our trip was extra special. Mike was very kind and obliging. Mike was great! he always got back to me very quickly and had good insight into different options for us. Mike Boike is the best and made our trip very easy and stress free. He answered and addressed all of our questions/ concerns quick and was so helpful. We will definitely be using your company again! Mike was always quick to get back to me through email and was very helpful and knowledgeable! Michael Boike was very reliable and responsive. Michael Boike was very friendly, helpful and I will use him again. Michael was very efficient and also very patient while I was deciding the dates, etc. that would work for us. I'll come back to Tour de Sport - Mike in particular. He made everything easy. Mike was nothing but Top Notch. This trip was perfectly organized, the hotels were great! Mike handled all of our requests in a very quick and professional manner. Very pleasant to work with. I had a lot of changes, last minute changes, and even when I thought it was messed up Mike had it right! I appreciate all the help and will recommend you to everyone and be using you every time I go! It was easy, and Mike was really knowledgeable about the area, so he directed us to a property more suited for our needs. I've worked with michael on numerous occasions and he has always done a great job in helping to plan our trips. Michael did an outstanding job setting up our ski trip! Michel Boike is an exceptional Ski Specialist. Our Breckenridge trip was difficult with multiple changes. Even with missed flights and connections, Michael was available and diligent always. 5 stars to Michael Boike and Tours de Sport's for your expertise and availability during preparation and availability to requests during our stay. We have been on ski weeks for 32 years. This is the first time using Tours de Sport. Will us you again next year. Mike knew all about the ski areas we considered, and was very patient when i couldn't make up my mind. He is very knowledgable about the areas and always gives first hand advice which we have come to rely on when making our travel decisions. Mike was very flexible and focused on what was best for us.The savings and convenience paid off! Mike always gives excellent choices that match up with our preferences. 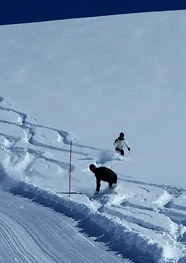 Mike was very knowledgeable and has selected key lodging locations very close to the ski lifts/runs which is particularly important to our family. I cannot think of improvements, Mike picks great close to the mountain lodges and recommends Ski Bulter which has worked out great each year. Thought Mike really cared about us. Mike is the best - I won't talk to anyone else if I don't have to! Mike is great. Always very helpful. Mike was very helpful and responsive. Service and knowledge along with great responsiveness would be the reasons I would book again. It was all very well put together. Mike was fantastic! Mike was responsive and attentive and everything was perfect! Mike was amazing and gave great advice so decsions were easy. Mike was very good. He returned every call. Seemed to get a very good rate. Great service, Mike responded very quickly and answered our questions and provided multiple quotes to view. Prices were acurate and very competative. Mike understood what I was looking for and provided excellent accomodations for us. This is the first time that I have booked a trip through Tour de Sport and I will highly recommend you to all my friends! Mike Boike was great to work with, and everything was exactly as promised! Mike was very helpful in assisting me on picking the right accommodations. Mike was awesome, i was surprised you guys weren't located in Big Sky with all the local knowledge he provided! Very helpful. I injured myself 10 days before the trip and was not sure if I could still go. Mike took the time to look into the option of postponing the trip and the costs associated with this. Very happy with Mike's services. He made himself available to us at any time, even at odd hours at night and was able to answer any question we asked. We have used Mike Boike 3 different times and he has been an amazing agent to work with! Have worked with Michael for years. He's always been helpful! Michael Boike was on point with everything he said and promised. He gave us exactly what we wanted and needed. He is a true professional. The services that I received from Michael Boike and Tours de Sport's repesent the epitome of professionalism. I will definitely touch bases with Mr. Boike when we begin planning for next year's trip. Thank you for a wonderful trip and your helpfulness! I would definitely reccommend you to others! Michael Boike was wonderful in helping me plan the trip! Michael was prompt and compliant...would use him again in a minute. Everything went smooth. Everything went as planned, we would do it again. Pricing and choice much better than club med, Everything was as promised and good price. Assisted w/ every aspect. Will be calling again. Great service for both our Eastern and Western trips. We will be scheduling our travel with you again in 2012. Michael is the best travel specialist I have ever dealt with so far. Michael was thorough, efficient and delightful! Our trip went as smooth as glass - not a single hiccup! Y'all do an excellent job! Easy to deal with and very helpful and responsive. All ten of us have enjoyed our vacation...Toursdesport was informative and courteous. Trip was great. Awesome snow!! He's very patient with our group. Mike was very helpful and answered all my questions/concerns. The trip was perfect and we had a blast. Everything was taken care of. 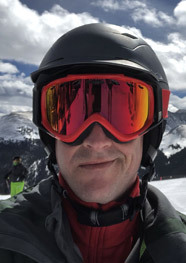 Michael has always found a place that suits our needs and has always been helpful with anything else we may need such as lift tickets, transportation etc. I will use you again and I recommended you to the others I joined on the trip. Excellent time!!! We will use Michael again. Everything was in order and hassle free. Thank you.